Pre-loved blankets and towels are desperately needed at our shelters. Calling all pet lovers in Melbourne! We need your help to top up our blanket supply. Our North Melbourne shelter is running low and desperately needs more blankets and towels so we can provide warm, comfy beds to the homeless pets in our care. Please note that unfortunately we can’t use doonas, pillows, sheets or pet beds. These items can be very difficult to clean and maintain for re-use. Our Cranbourne shelter is fully stocked and not in need of blankets or towels at this time. If you’ve been meaning to do a clean-out of your cupboards, now is the perfect time! Our North Melbourne shelter will be happy to take those unwanted blankets and towels off your hands. 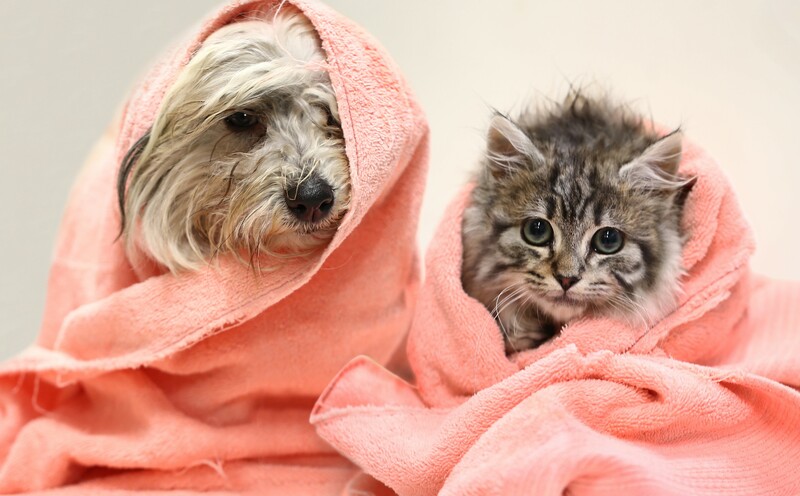 Plus, you’ll feel great knowing they’re helping keep homeless pets warm and snuggly. Donations can be dropped off at 2 Gracie Street, North Melbourne.